Early reviews of the iPhone 4S may have been uniformly great, bordering on glowing. But the best part of Wednesday’s coverage of Apple’s latest has been reviewers’ transcripts of their conversations with Siri — the personal assistant. 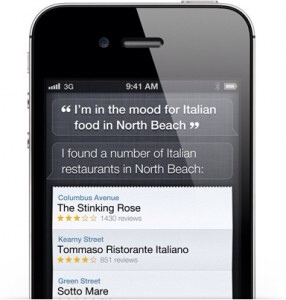 Initial reports revealed that Siri’s got answers for just about everything from pop culture queries to math problems. She’s even got an answer to the eternal question, “What is the meaning of life?” that pays homage to Monty Python. But she’s also shown she has a good sense of humor. Friends, even digital ones, don’t let friends drive drunk. ~ by Garry on October 16, 2011.